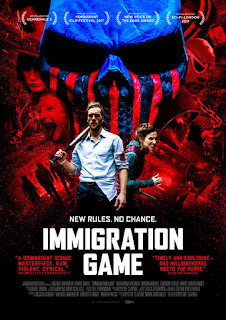 An all too credible Dystopian alt-reality is the backbone of this dynamically paced thriller in which Europe has closed its borders, and only Germany offers citizenship to immigrants…that is, if they can survive “The Immigration Game”. This involves refugees earning points and cash for every German citizen they kill. Our hero Mathis Landwehr kills a “hunter” in a bid to protect a refugee and faces a choice of either prison or ostensibly assuming the role of a refugee in the “game”. Channelling much earlier faux “reality TV” genre films like THE RUNNING MAN and SERIES 7, the movie’s vision of urban Hell seems most influenced by THE PURGE series, filtered through the current climate of Nationalism and European cities on the brink. Though not without humour (“He looks like He-Man”), the movie sustains an intense ambience of unease, as characters talk like Daily Mail headlines (“What will happen to our city? Refugees everywhere…”) and violence regularly erupts, with vivid street-level fight scenes involving baseball bats, knives and chains. 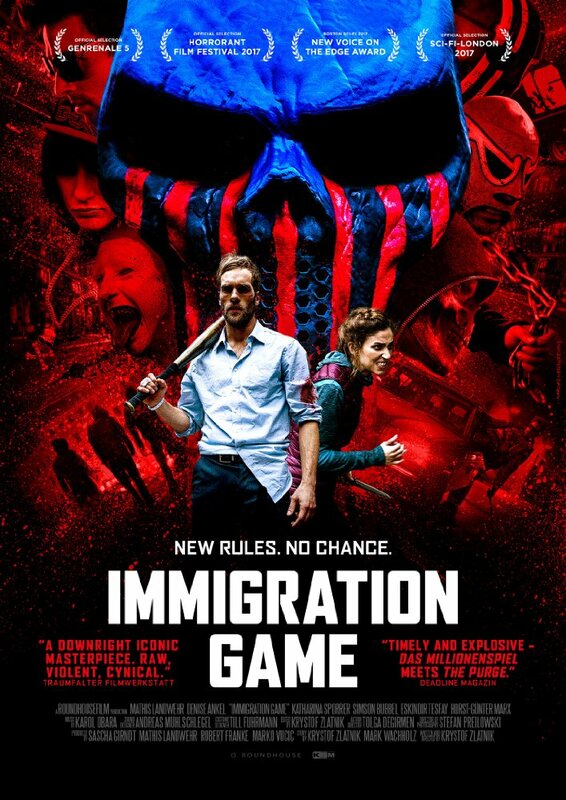 Satisfyingly nihilistic, the movie is weakened by the impact-blunting use of slo-mo in hard-hitting scenes and by the final ten minutes at “The Immigration Game” TV studio, where the all too easy target of sensationalistic 21st century media is satirised yet again.